Notes: CMP. TC. 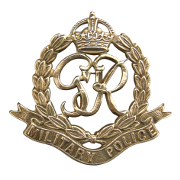 13/6/40 enlisted in the Northamptonshire Regiment, 25/1/41 transferred to CMP. 25/3/44 Died. He was born and resided in Northampton. Inscription on gravestone: Death did to me short warning give. 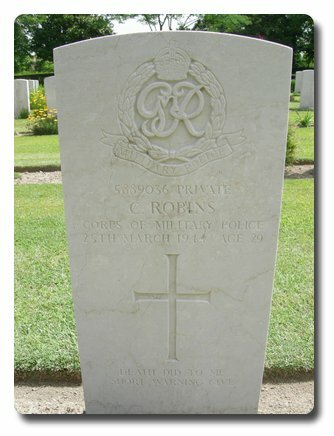 Charles Robins.